Synopsis: Bridget (Hilary Swank) returns home at her brother’s (Michael Shannon) urging to deal with her ailing mother (Blythe Danner) and her father’s (Robert Forster) reluctance to let go of their life together. Synopsis: An insomniac office worker and a devil-may-care soapmaker form an underground fight club that evolves into something much, much more. Synopsis: A frontiersman on a fur trading expedition in the 1820s fights for survival after being mauled by a bear and left for dead by members of his own hunting team. 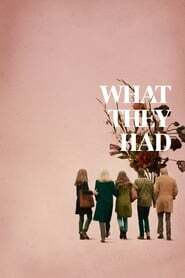 Synopsis: When the estranged daughter of a hard-working live-in housekeeper suddenly appears, the unspoken class barriers that exist within the home are thrown into disarray. Synopsis: While navigating their careers in Los Angeles, a pianist and an actress fall in love while attempting to reconcile their aspirations for the future.